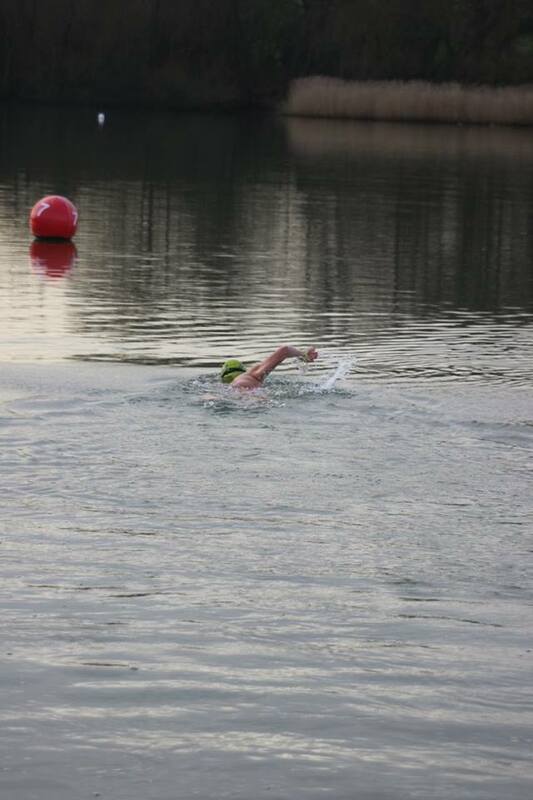 I first heard of the Ice mile in the winter of 2013 when I was training for my first Chill swim 450m event. I had started winter swimming that year as a new challenge following my second 10k swim. Naively I had thought I could do cold water swimming as I could tolerate colder temperatures than most other people I knew. While putting myself through the discomfort of the training and recovery of my first winter of swimming I thought the prospect of doing an ice mile to be impossible for me. My first chill swim went well (I placed second in my age group). I met some inspirational people. I really fancied doing the 1k event the next year. I committed myself mentally to another winter of training. The second winter of training was better. Not painless just better. Recovery was easier, I could go a little bit further at a little bit colder. The ice mile began to enter my mind. Perhaps it was doable. 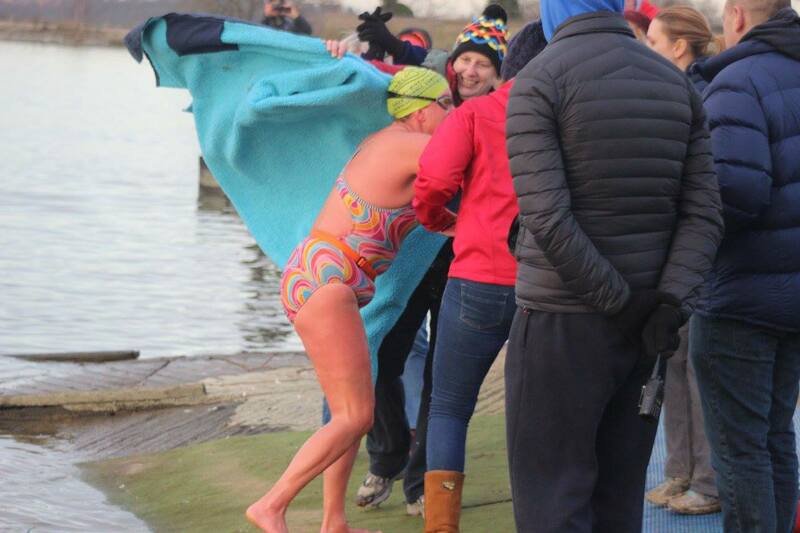 After placing well in the 1k at my second Chill swim I decided I really wanted to do an Ice mile and I wanted to do it that season. I contacted Pauline Squire. I had read about her in a magazine. 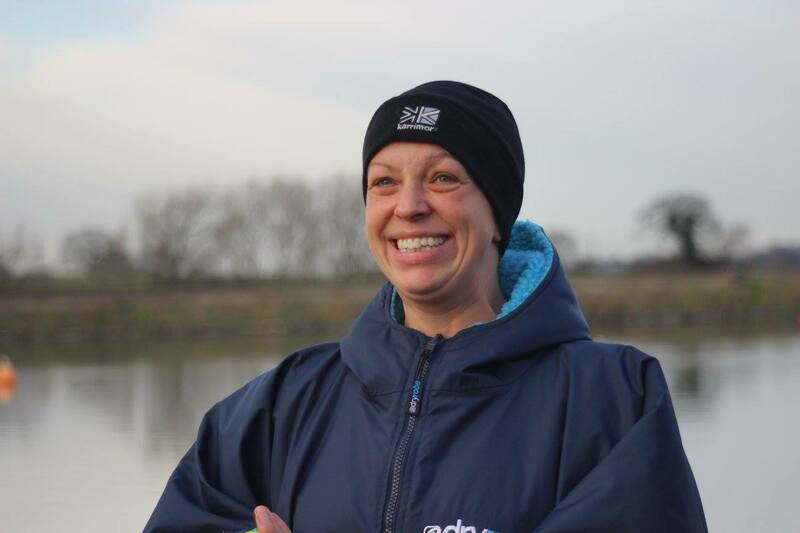 I kept training and on a windy Saturday morning at the beginning of March 2015 I stood on the edge of Ellerton water ready to go. The water had other thoughts. With the thermometer reading 5.2 degrees Celsius the attempt was a no go. Riding home in the car I cried and cried. I was going to have to endure another winter of training. Did I have it in me? Could I take the pain? I spent 2015 obsessed. My friends and family thankfully were supportive. They thought I had lost my sanity but seemed to think it might return when I had got though ‘my phase’. 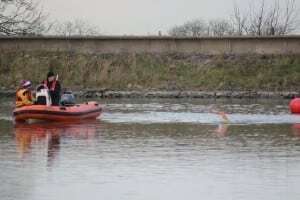 My husband, Simon, even decided to brave the winter water himself. When my friends could no longer face the cooling waters themselves they drove me to my home site of Stoney Cove and watched me swim round. However, the water just refused to drop. When the water was still holding at 13 degrees in November I realized I needed to find some colder water. 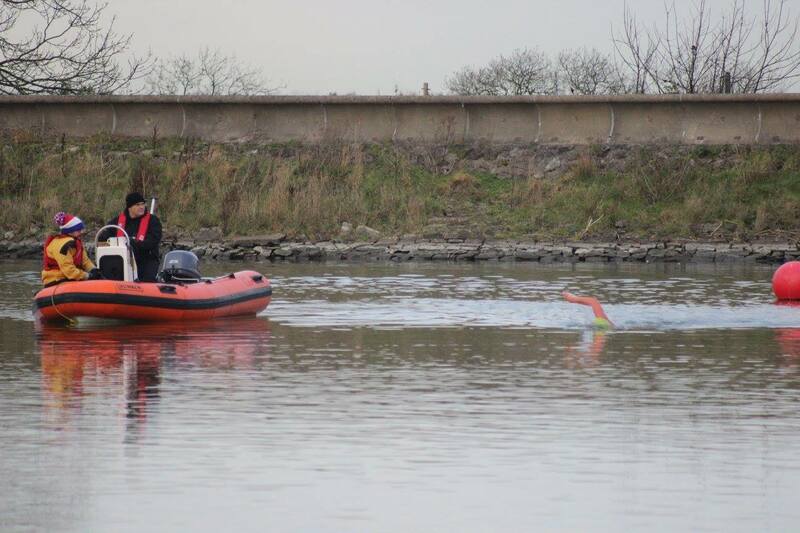 I joined Yorkshire Outdoor swimmers at Harthill where I found lots of friendly, mad people. At the end of November, the temperature dropped to 5.7 degrees. I thought that my ice mile attempt must be getting close. I became insanely familiar with the weather forecasts for the Harthill area. December came and went. I spent New Year’s eve sober (due to a promise I had made to myself late September not to drink until I was an ice-miler). The first weekend of January I went to Germany, convinced everyone I knew who wanted to do an Ice mile would complete one while I was away. Eventually on 16 January I went to Harthill, scheduled to go in as the second attempt. Alistair asked me if I wanted to know the temperature. After nearly a year of waiting for the temperature to drop below 5 degrees the water was at 2.5. After waiting so long there was no way I could allow myself to think I would not make it. Tip-toeing into the water I had lost feeling in my toes within seconds. Then I had to tip-toe out again as I was not wearing an orange safety belt. Belt on in I went again, off to buoy 7 and off. I had to keep telling myself not to go too hard. Sustainable pace I kept thinking. Very soon the cold had crept up my arms. Keep going I thought. I had been cold before. Each time I breathed towards the boat I could see Leon and Alistair. Sometimes they were looking my way and smiling sometimes they seemed to be having a jolly chat. They looked relaxed. I thought they must have thought I was doing ok as they did not look worried. I could not help but notice Alistair’s cup of tea. I focused on the thought that I could have a warm drink after my swim. Towards buoy 5 on the first lap the cold crept towards my knees. This felt new. As I passed buoy 7 to start my second lap I could hear my friends. Keep going I thought. Each time I passed a buoy I thought how I did not have to go past that one again. As I turned to go alone the far side of the course I realized my vision was starting to blur a little. I could still see the buoys but not quite as clearly. Again I thought keep going. Turning to go along the straight towards buoy 5 I could hear Leon and Alistair urging me to keep going. Strangely I felt good. I was still moving. As I rounded buoy 5 I felt like I was on familiar ground (this was the first time I had swum the ‘big lap’) or at least in familiar water. I had swum along here lots of times. I could hear my friends again. I could hear Leon telling me to keep going. I am sure I tried to smile. Rounding buoy 7 I knew I just needed to get out. My first attempt to stand failed. I swam in a bit further to the shore. Second time I stood and managed to get out. I had done it. Recovery went by in a blur. I remember getting dressed but after that was like a drunken night out. My friends were amazing; wrapping me up, feeding me porridge and hot chocolate, walking me about when I could stand. Finally, I stopped shaking and was able to straighten my clothes and redress. The question was how or what did I feel? I had spent so long obsessing. I still do not quite know but I do look good in red!